After a fun, hot day at McDowell among friends, teammates and fellow racers, results are up! Huge thanks to all the volunteers, sponsors and athletes that made this the biggest MARC event in the 3 year history. Pictures will be coming from TR-IAG Photography. We look forward to seeing you at Sierra Vista, where points are worth 1.5x! 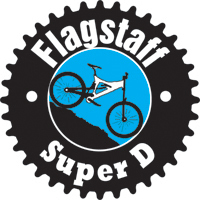 REMINDER – Super D registration opens next week, stay tuned to the website/facebook for more details. Limited to 100 riders! All proceeds to benefit Flagstaff Biking Organization.